Crawl from bar to bar during the day while listening to Chicago's best EDM DJs! Fuel up for the dance floor with a breakfast buffet, then get ready to hit up some of River North's best clubs, bars and lounges! 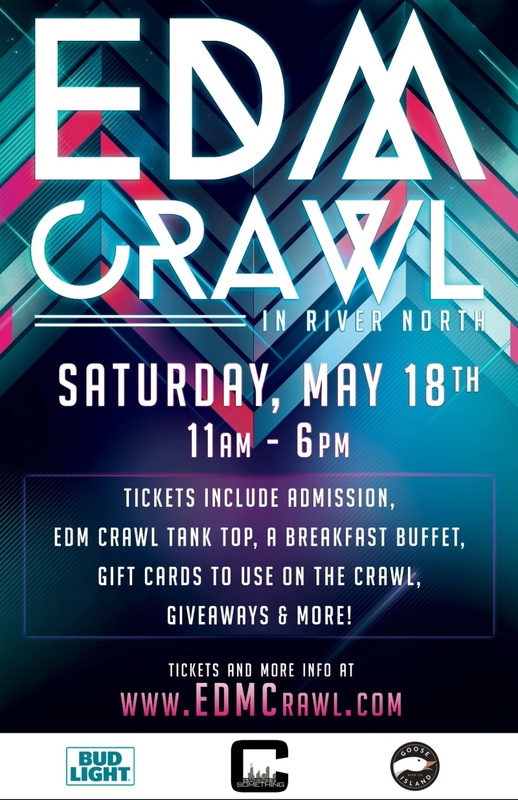 WHAT'S INCLUDED: Tickets include Admission, an Official EDM Crawl Tank Top, a Breakfast Buffet, Gift Cards to use on the crawl, Giveaways & More!